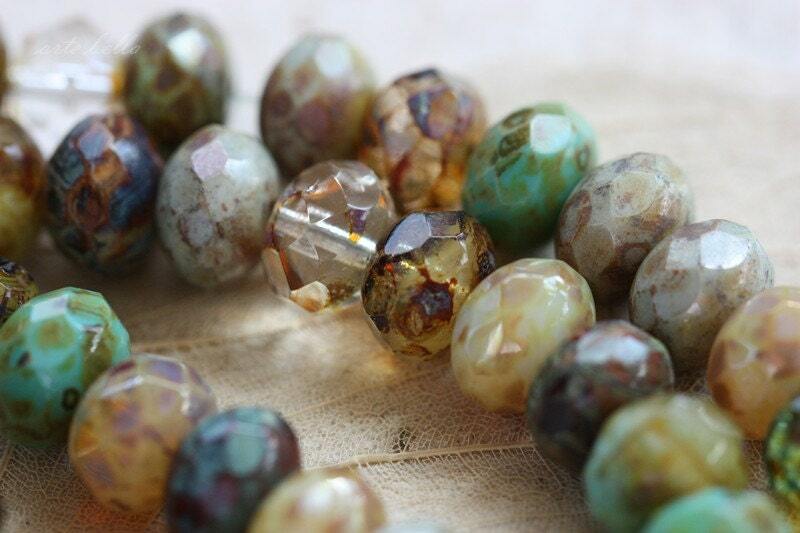 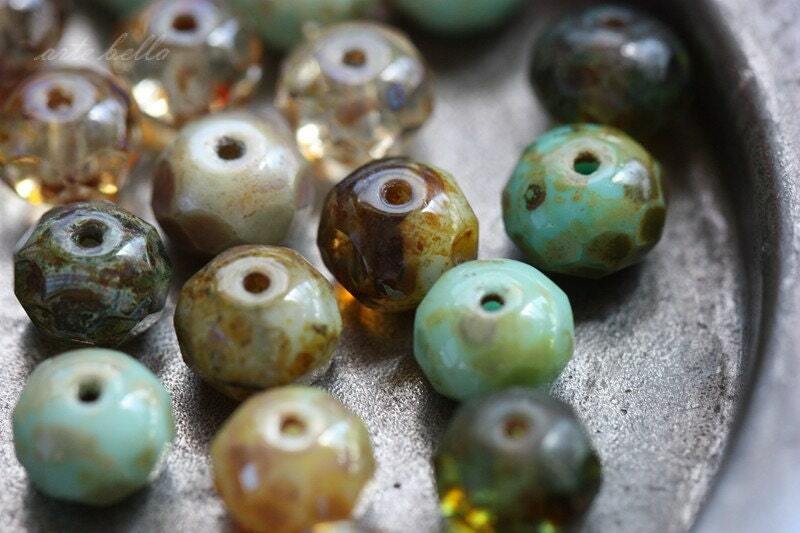 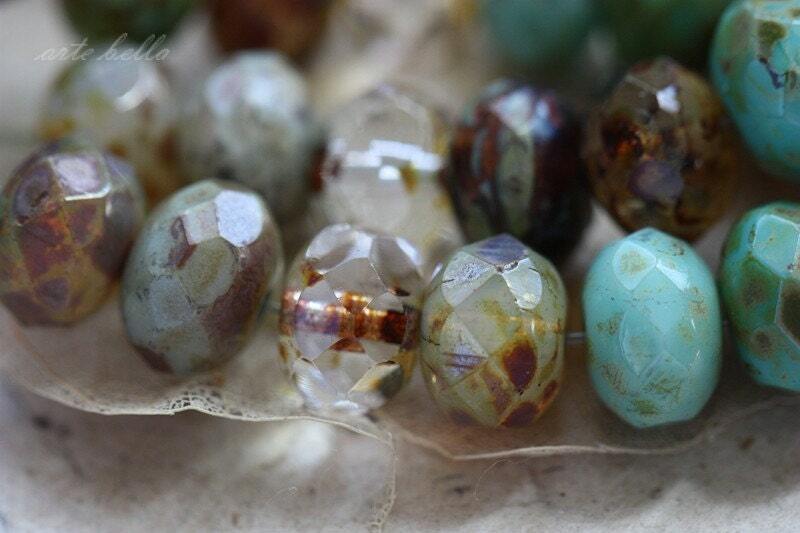 Custom mix I came up with in 2013 .. Earthy and beachy toned beauties in both translucent and opaque glass. 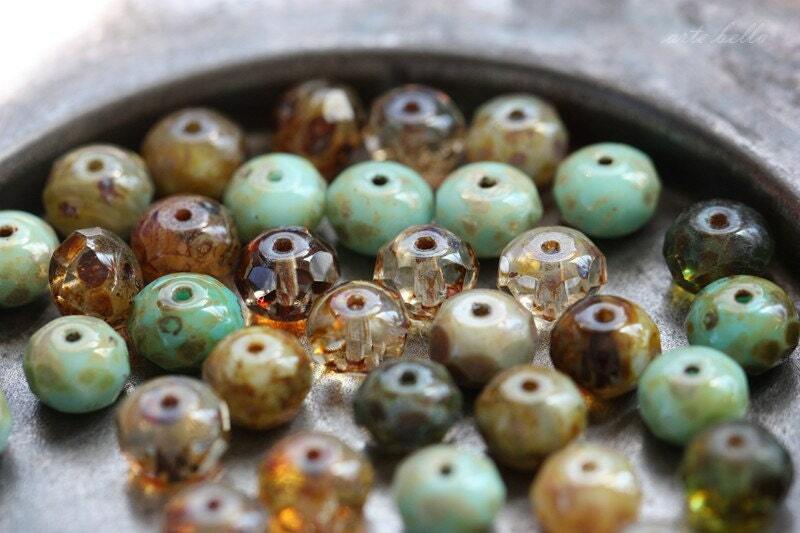 Various shades of blue, green, cream, brown, amber, red and clear. 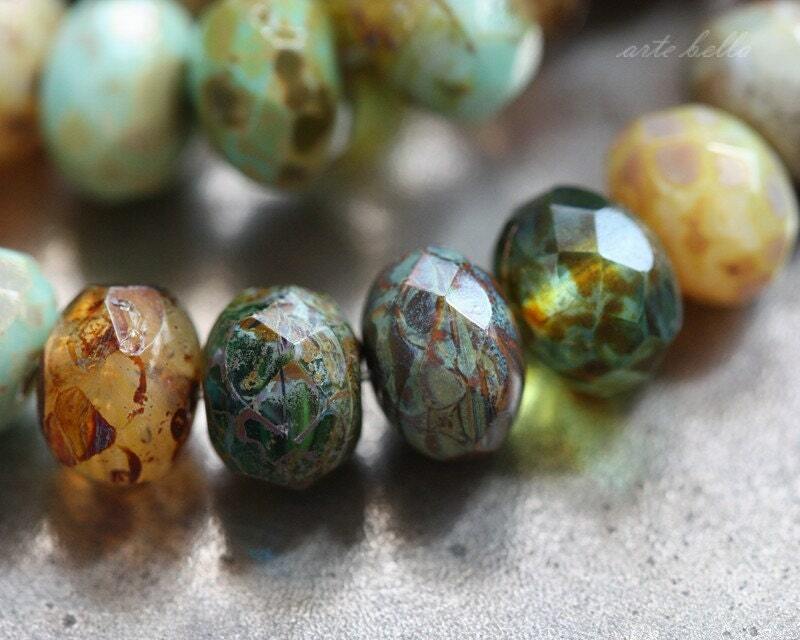 Coated with the ever loved Picasso finish.